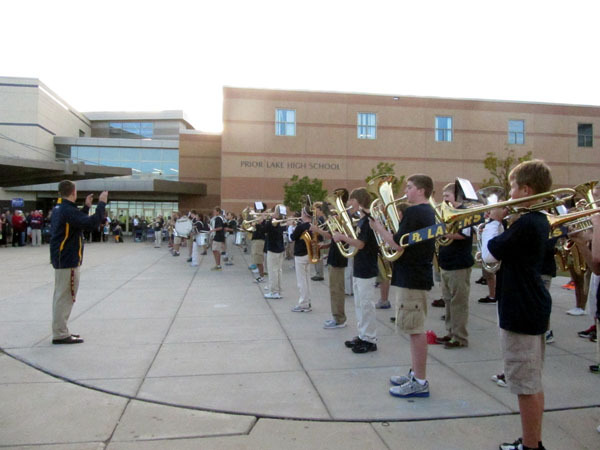 On Monday night we went to the Prior Lake Community Fest to see the boys in their first performance as members of the 8th grade marching band. 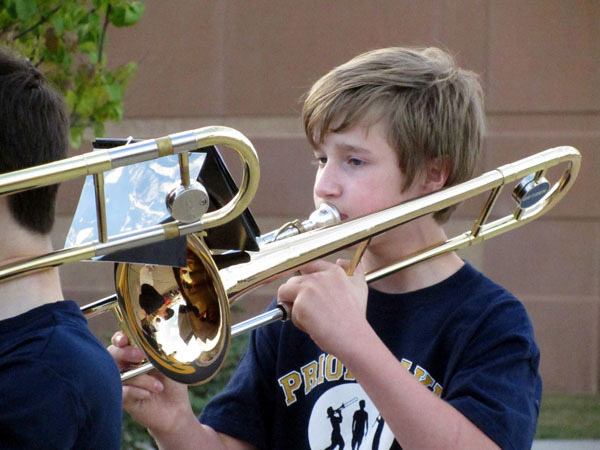 Avery is such a good little tromboner! Luke normally plays the cymbals, but apparently there was some sort of a mixup and his cymbals weren't there for the first few songs of the performance. But we thought he stood in the line real nice. 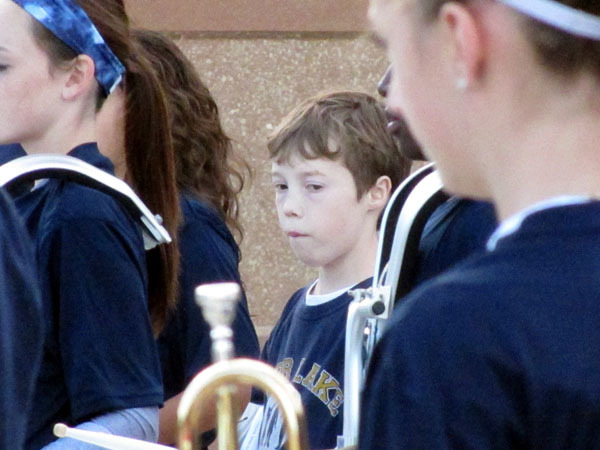 Mr. Hanson is the boy's band instructor at school. He runs a great program! 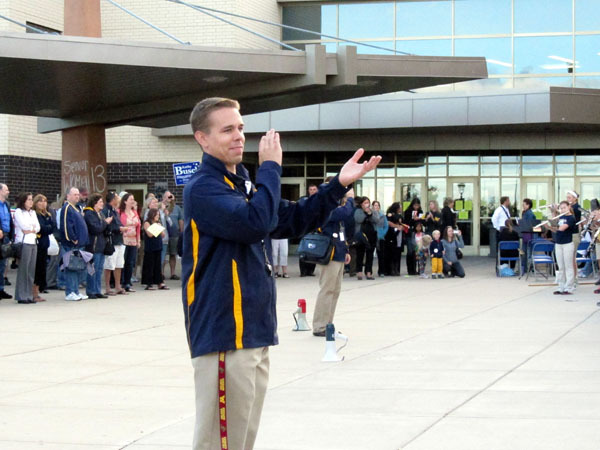 His partner is Mr. Melody who runs the band program at the other middle school in Prior Lake. You just know with a name like Melody, he's gotta be good!